Over the next couple of days we watched Matthew getting stronger day by day. 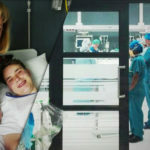 We sat with him for many hours talking (from the glass door) about past experiences and what was to come post-operation. 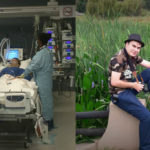 I had contacted Matthew’s previous cardiologist, Dr Kenny, and his previous cardio-thoracic surgeon, Dr Rob Kinsley to inform them of Matthew’s transplant the day he has received it. Both doctors had asked to be kept up to date throughout the time he was in hospital. Matthew was really quiet surprised, but also pleased to hear that his previous doctors, who had been involved with him since his first open heart surgery when he was just 36 hours of age, had shown an active interest in his operation. 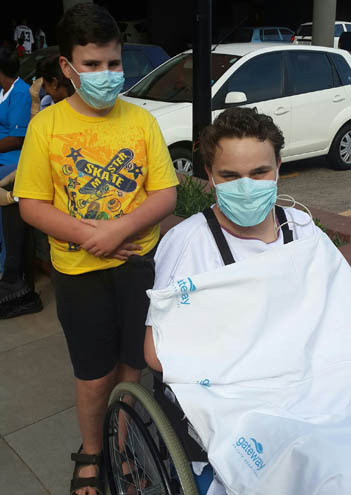 In fact, when Dr Kinsley was in Durban on business, he had made a special effort to come and see Matthew in the ICU. Matthew recognised him immediately even though we have not seen him for over eight years. Nine years previously after Matthew’s latest heart operation, we were told that if at all possible his doctors’ didn’t want to see him to operate on him again! Further surgery, we were told, was going to be extremely difficult. Well, difficult is what his transplant had turned out to be. 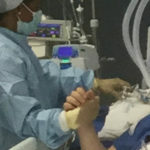 The situation was compounded by the number of times that his chest had been entered previously, the consequential amount of scar tissue and adhesions in his chest cavity, the fact that he had been on femoral bypass three times previously, as well as the present condition of his heart and lungs which all created a far from ideal situation for transplant. 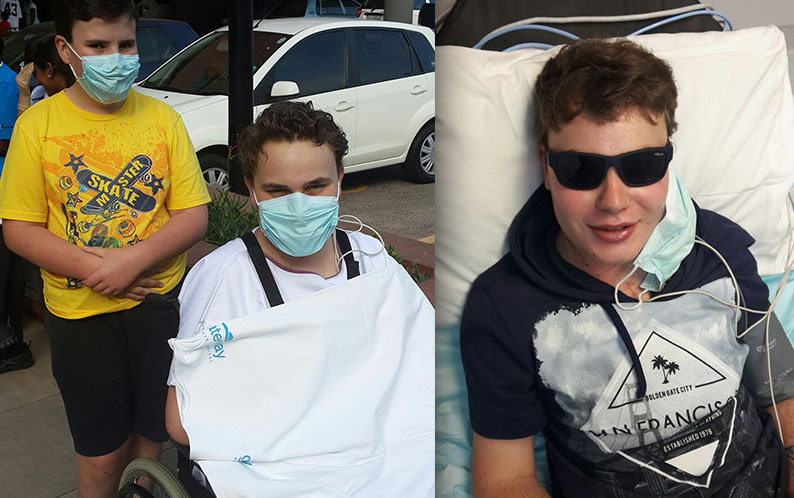 Mr Kleinloog, Mr Winter andthe team had performed Matthew’s transplant successfully in a situation that was medically considered inoperable! 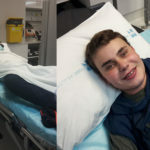 As we think back to that first evening after Matthew came out of theatre we can just remember the exhausted and stressed faces of everyone involved. Amazingly, those same faces showed far less stress a day and half later. 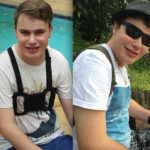 Matthew had now started to “walk with his splint”, a bit awkward at first, but he walked a few steps further and further each of the next couple of days. His vitals and blood results continued to look fantastic and all he started to talk about were all the things he had planned for when he got home. (Okay, so it was big list which would need to be curtailed!) He was desperate to see his school friends who had all finished their Matric examinations and were now on holiday. However, as he was soon to realise, this wasn’t as easy as he hoped and that he would have to learn a lot of patience. He would need to be in “isolation” for three to six months post operation and need to be extremely careful to avoid people who are ill. He would even need to avoid people who have been in contact with somebody else who were sick! It’s not a question you would normally ask people, but it has become one we ask all the time, “are you or any of your family sick?” before they come to visit. If the answer is yes, then the visit is delayed! The plan would be that Matthew and visitors would generally visit outside in the open (hopefully it was not raining) but with mask and sanitised hands. The time around Matthew leaving hospital also marked the anniversary where our family lost Matthew’s beloved Aunty Jacqui (Jacqui Mayberry). She was an incredible person and left an amazing legacy in her two children Greg and Jess. 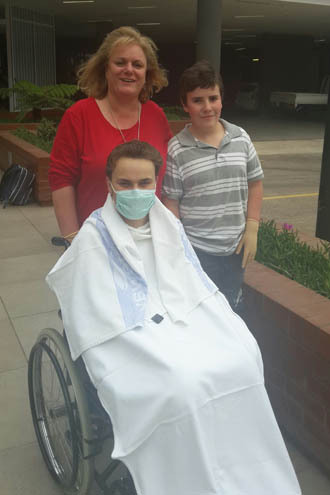 Matthew was convinced that had Aunty Jacqui been alive, she would have been there with us through the whole experience and that she would have been thrilled that he had received his transplant. He and Jacqui had often talked about what he was going through and how to remain positive. We are grateful to Jacqui for the positive impact she has had on how he sees life. As we hit this last stage in the hospital we almost found ourselves scared to hope and dreading that another big bump would show itself. 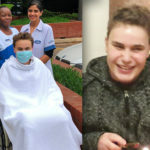 Mr Kleinloog had told us about some of the bumps that Matthew could have faced due to the operation and subsequent medication – liver failure, kidney failure, rejection, etc. – the list seemed to be quite long. However, the team were prepared to handle each bump had it appeared…which it appeared not to! Similarly, we reminded ourselves of just how miraculous this had all been and how the Lord had never left ours, or Matthew’s side through it all. We were so grateful and in awe of His goodness. Finally! 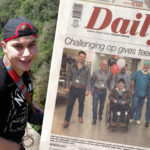 On the afternoon of Transplant day T+22, we were told Matthew could go home the next morning. The excitement was palpable and fortunately everything was prepared at home. 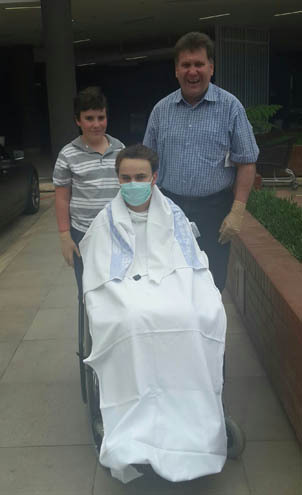 We were arranging how best to get Matthew home, when Henry Landman, of Crisis Medical, offered to transport Matthew home. This ended up being especially special as the vehicle that took Matthew home was the very same one that brought his donor organs to the hospital. The drive home (which is described in blog T+23) was going to end up being not only exciting but also an incredibly emotional one. Am so happy to hear that he is finally home! You are very brave Matthew!! Janet thank you so much for sharing Matthew’s journey with us. I have not been on Facebook often so when I saw this I went back and read all your posts and i also had tears in my eyes. You are the best pardnts. All the best for you and all the family. I remember when he had his first op. God Bless. Lots of love.